For me, Huawei holds a special place among device manufacturers, as the Honor 6 and Mate 7 were the two first reviews I had written on AnandTech. This was back before Huawei found wide-spread success both in China as well as western markets, so it could be said that I’ve been following the company’s devices from before they were “cool”. Over these years we’ve seen the company post impressive year-on-year growth figures and steadily climbing up the mobile device manufacturer lists in terms of sales. Most recently this year, the company hit some unpleasant roadblocks while trying to enter the US market and then being unceremoniously dropped from planned carrier deals at the last moment due to pressure from government agencies. For now, this seems to have put an end to Huawei’s ambitions in the US as the company is closing off branches and stopping lobbying efforts in the country. 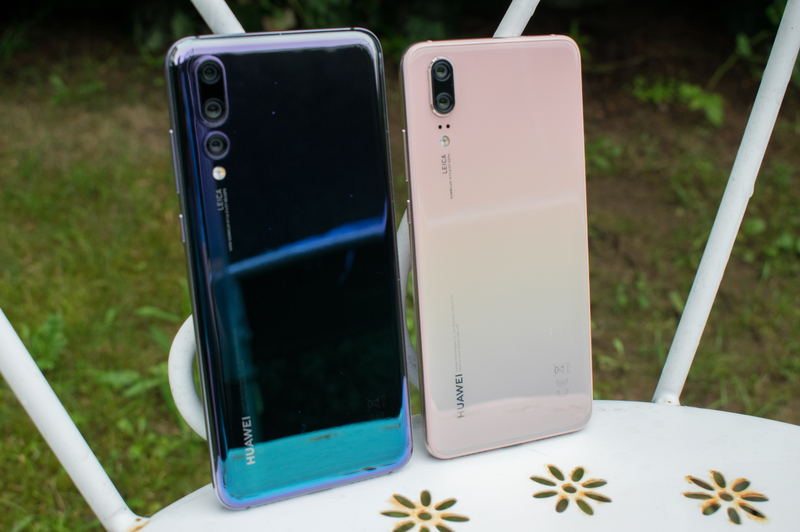 However, outside the US, Huawei products are as popular as ever; and the technology in them is ever improving with each generation. 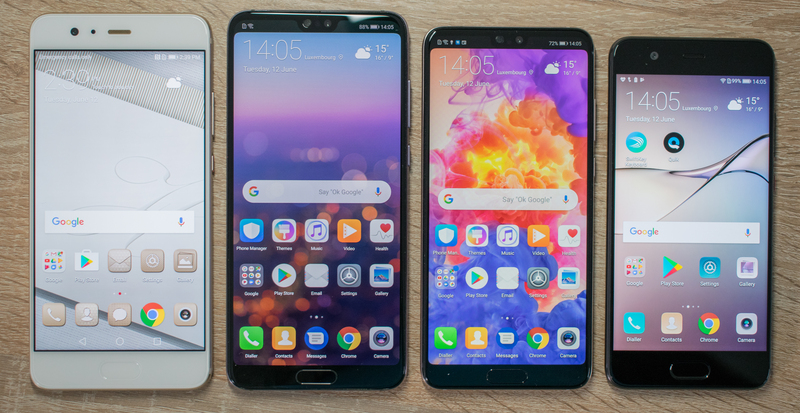 Much like the P10 and P10 Plus last year, Huawei has adopted launching two flagships models this year, both with slightly different sizes and specifications. At the heart of both the P20 and P20 Pro we find the Kirin 970: we’ve had an extensive SoC-centric review of the chipset inside the Mate 10 and Mate 10 Pro earlier this year, dwelling into details such as the performance and power of CPU, GPU and particularly unveiling some characteristics of the new NPU (Neural processing unit). The chip’s CPU configuration consists of 4x Cortex A73 at 2.36GHz and 4x Cortex A53 at 1.84GHz. This is the same configuration as found last year in the Kirin 960 – and a generation behind current flagships such as the Snapdragon 845. We’ll get back to this in the system performance and battery section – where we’ll find some quite good results from the chip. On the GPU side the Mali G72MP12 at 746MHz powers graphics and 3D workloads – although again we’ll have more details in that particular section and how the P20’s differ from the Mate 10’s in this regard. On the memory side the P20 Pro comes with 6GB of LPDDR4X while the smaller P20 comes with 4GB. In terms of storage, both devices come with large base storage capacities of 128GB of UFS 2.1 NAND solutions. 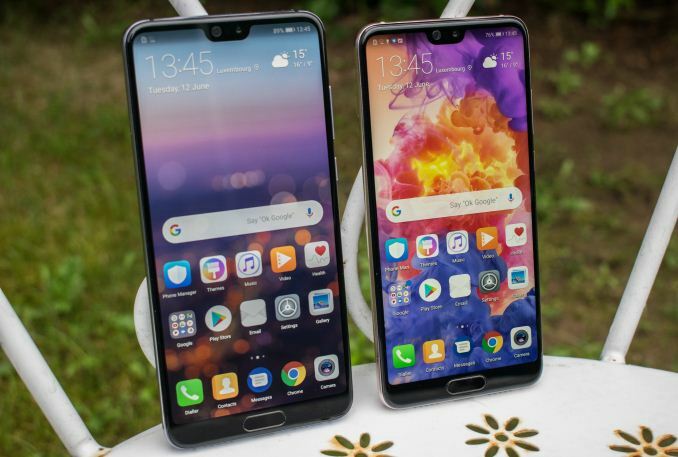 Huawei’s choice of going this high in base storage is well received as the devices don’t offer expandable storage via microSD cards – something other companies which also choose not to offer should take note of. 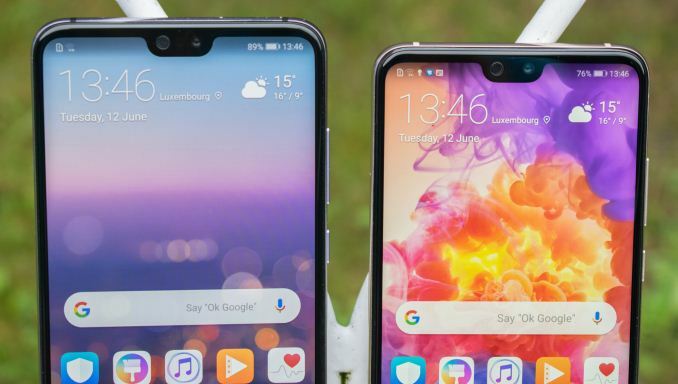 As noted in the intro, the P20 Pro and P20 come with a major design overhaul that no longer bares any similarity to the P10 line or past Huawei devices. 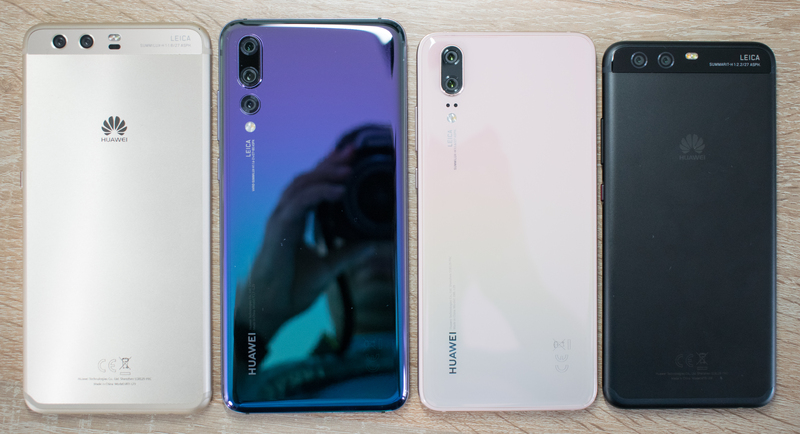 Huawei first transitioned to a glass back design and new wide aspect ratio screens in the Mate 10/Pro series, and in the P20’s we see the evolution of this design. The smaller P20 comes with a 5.8” 2240x1080 RGBW LCD screen, which results in an aspect ratio of 18.66:9. As screen diagonals nowadays don’t really convey the size of a phone anymore – let’s keep it to the basics: a phone width of 70.8mm, which is slightly wider than last year’s P10 and comes most similar to the iPhone X when comparing it to competing devices. The P20 however feels smaller, and that’s mainly due to the thinner form-factor of 7.65mm. Still, Huawei packed a 3400mAh battery into the P20, which if I’m note mistaken, puts it at the top in terms of battery capacity for that particular phone size. The P20 Pro comes at a larger 6.1” diagonal with a same resolution screen, however this time it sports an AMOLED panel from Samsung instead of an LCD. Both screens are wide gamut capable and use configurable sRGB or DCI-P3 colour spaces. The P20 Pro is only 3.1mm wider than the P20 at 73.9mm, however this results in a noticeable different feel than the P20, making it the same form-factor as the Mate 10 Pro and Galaxy S8+/S9+. Here, Huawei included a 4000mAh battery, which also a defining characteristic of its larger devices that Huawei prides itself in able to offer. 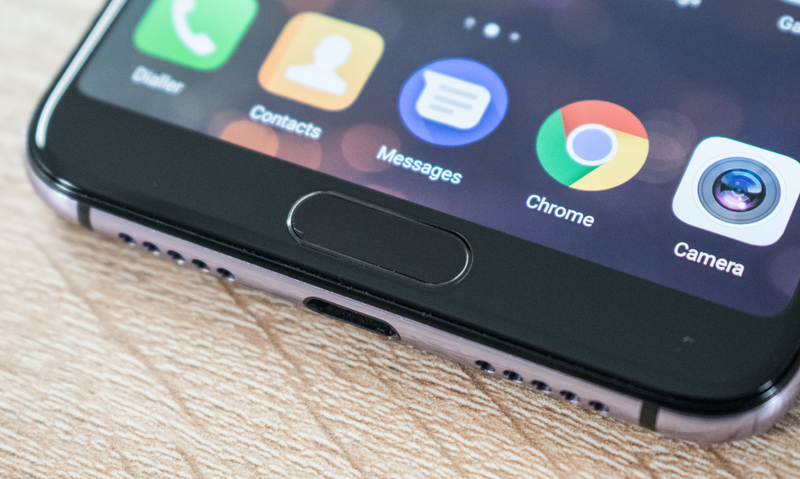 Huawei’s inclusion of display notches made a lot of fanfare in the media and in terms of feedback from users – but personally I don’t have any strong feelings either way, especially since Huawei includes a mode where the notification area in the notch ears can be blacked out to create a seemingly uniform top edge. Inside the notch area we find a 24MP front-facing camera with an F/2.0 lens and fixed focal length, a pair of sensors and the small round earpiece grill. The notification light is found above the sensor array – here I think Huawei could have done better as I find the light to be extremely small and not that very noticeable. For people who don’t like the notch cut-out, the blackout mode isn’t complete total solution as the due to the difference in reflectance of the screen and the black bezel, it’ll still be noticeable in sunlight. The smaller P20’s LCD screen also doesn’t offer sufficiently deep blacks to completely hide this in low-light scenarios (But does so very well in everyday lit cases). Obviously the cameras of the P20 were the centre-point of their coverage. The smaller P20 doesn’t change its specifications on paper when compared to the P10: We’re still seeing a main 12MP RGB sensor paired with a 20MP monochrome sensor. Huawei did improve the lens as it now features an F/1.8 aperture. There’s no OIS here and Huawei solely relies on EIS for stabilisation. The P20 Pro’s camera setup is what made some big rounds around the media as well as on our initial hands-on in Paris: The main camera sensor is a huge 1/1.7” 40MP sensor. The pixel pitch here is a mere 1µm – however Huawei extensively uses pixel binning in 2x2 pixel arrays, resulting in an effective resolution of 10MP and 2µm pixel pitch in most shooting modes. The sensor also promises a sensitivity of up to ISO 102400 – something that not used nearly as much as one would think but still extremely impressive as we’ll see in the extreme low light capture comparisons later in the review. However the P20 Pro doesn’t stop at differentiating its main sensor – it also adds a telephoto module which makes the phone a distinguished triple camera shooter. The 8MP telephoto module comes with a f/2.4 lens and optical 3x zoom. This is the only module that also features OIS on the P20 Pro. Huawei also promises a hybrid 5x zoom by using pixel interpolation between the 40MP and 8MP modules, which ends up being very impressive. 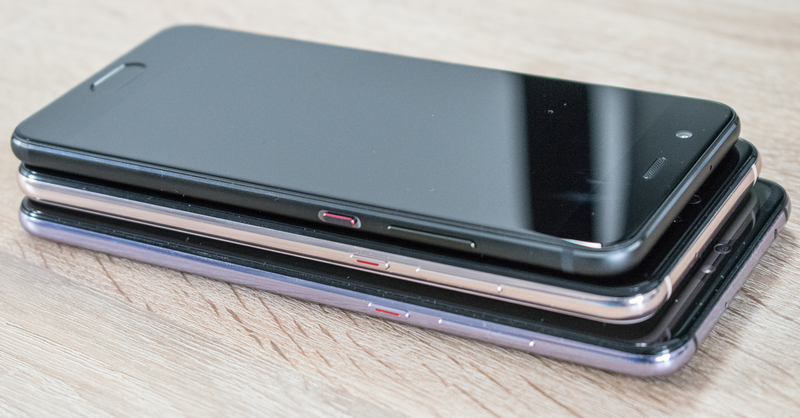 The P20’s unfortunately follow the Mate 10 Pro’s dismissal of the headphone jack – something I still think is a mistake from several vendors. At least it seems that Huawei’s internal design is actually one of the rare ones which does take advantage of its removal by increasing the battery footprint inside the phone and offer larger batteries. The P20’s notably improve on the tactile feedback of the volume and power buttons versus the P10 as they get rid of the sharp and shallow clicks in favour of a deeper and softer actuators. One thing that I did not like about the P20 variants which I got is the shiny metal rim around the phone. Although it looks relatively premium (subjectively), it had more of the feel of plastic than metal. Unfortunately this seems to be a characteristic of the variants I got sampled as for example the black P20’s feature a matte finish on the device edges which I would think would be a much better feel for the phones. Finally, both P20’s have the fingerprint sensor located at the bottom lip at the front of the phones. This is again the same setup as on the P10’s, but in a much thinner format. New Cameraphone: Huawei P20 Pro. Old phone" iPhone X. No excuse for Huawei on their glaring 3 major flaws. 2 - Extended too deep as they just want to make the phone damn like an iPhone X with this Notch, camera module, the phone aesthetics, the plasticky frame look of that metal with polish like Apple again. 3 - No Headphone jack, another inspiration from Apple. They want to be in serious front lines and all about their own AI powered notification system was a damn mess, I don't think it's going to be fixed anytime, Their lack of updates and price it to the north with tons of SKUs. After seeing the GSMA samples of Lumia 1020 Pureview, No camera comes close to that phone, they had Xenon flash, bigger massive sensor true lossless zoom and perfect natural colors unlike Huawei's AI crap or Samsung's oversaturated processing. Their recent fiasco of no bootloader unlock is another middle finger. Removing the jack driling holes like Apple. sheesh this phone doesn't even deserve any praise on the design front, and should be called out for it's cheap design, Only Huawei phone which is a true flagship was Mate 10 standard edition, no rounded drama, no notch, has a headphone jack, front scanner, 16:9 panel, SD slot. This phone doesn't have any of those or any phone from Huawei. 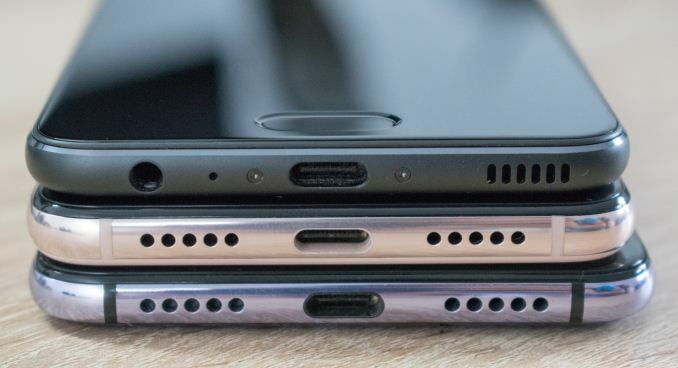 Chinese phones nowadays have flooded the market with this obnoxious chin + notch BS and all phones are looking the damn same. A shame to the whole industry which Apple brought with their always fancy style over substance. No wonder no ones cares about audio anymore, soon LG will stop bleeding and ditch that ESS (half baked anyways needs mods to enable the HIM - High Impedance Mode as they crippled it unlike the older days SGS - Wolfson Linux driver compatible DACs) as they did with V20's removable battery and made an abomination G7 ruining the perfect balanced design, 19:9 is so impractical and useless, adding the chin (yeah I've said it by 3 times) it's just insane and stupid. Andrei shouldn't excuse them for adding a battery, Samsung's Note 8 has more tech inside it (ofc they played a stupid safe game of absurdly small battery) the stylus tech, Iris scanner, better construction and quality yet has a 3.5mm jack, S9+ improves on it, Note 9 rumored to have 3800+ mah (maybe it will help that failed Exynos 9810's custom kernel optimization) and have a 3.5mm jack again with SD Slot and all bells and whistles.